The Nutcracker and the Four Realms is a 2018 Fantasy Adventure Family movie directed by . 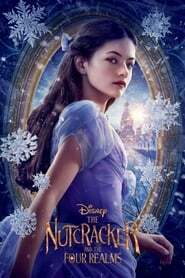 It stars Keira Knightley, Mackenzie Foy, Eugenio Derbez, among others. The Nutcracker and the Four Realms is currently rated 6.1 stars on the ReelBugs scale. WE WUZ NUCKCRACKERZ AND SHIIIIIEEEET! is there any new Disney movie that doesn't involve "Time has come"
Everyone here is pissed cause the Nutcracker is black...and I'm over here wondering where the hell the Mouse King is at. The music is really awesome, but the trailer really doesn't impress me at all. It feels like Tim Burton's Alice in Wonderland but with different characters, a different setting and a slightly different story. Throw some Narnia in the mix at well and you got this! But, of course, the people who enjoyed Alice would surely enjoy this as well. 0:38 anyone notice that the owls on the walls turned into mice? "The legend you know has a dark side" - Quite the visual representation there Divers... Disney! No I'm not making that up. This lowkey reminded me of the Chronicles of Narnia when she walked out into the forest. Anyone else? Next up....the Wizard of Oz is a black man and Dorothy is played by Cardi B.
Ay yo, hol up, so you be sayin we wuz some kinda nutcrackaz n shiet? Why do (((they))) keep doing this? Alice in Narnia looks awesome! We don't need "Dark Side" in Tschaikowsky's music especially Nat cracker.